Show pen movements in court? 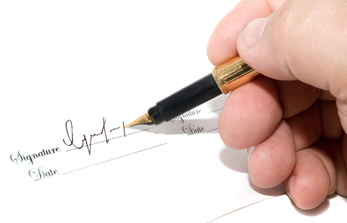 Forensic document examiners (FDEs) often testify in court on comparisons of questioned vs known samples of handwriting. FDEs need to explain how they gained experience in interpreting the significance of subtle differences between samples exceeding normal variations. An understanding about the movement that produced the questioned handwriting is essential. Mobile, educational tool for FDEs. 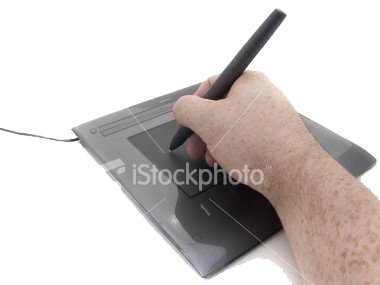 MovAlyzeR® will accurately record handwriting, allowing FDEs to visualize movements in time. It can record entire paragraphs of writing, segmenting into words, up-/down-strokes, pen-lifts and pauses. Each stroke is characterized by many spatial and dynamic features. MovAlyzeR can process scanned images, segmenting them into visual strokes, which can, then, be translated into a movement sequence with several features. 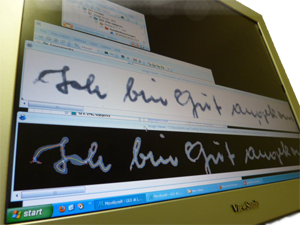 MovAlyzeR helps FDEs to understand the relationship between handwriting movement and image. FDEs can improve their experience in recognizing speed and pen pressure from handwritten documents by recording handwriting movements on a pen tablet using an inking pen. ScriptAlyzeR™, an entry-level version of MovAlzyeR, is also available. 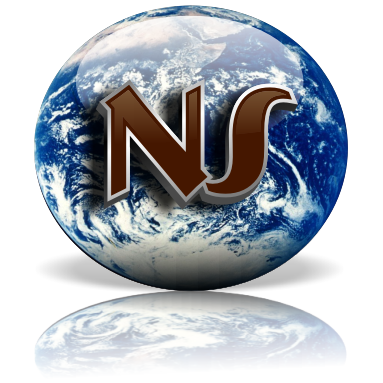 Compare NeuroScript's applications. Example Test: SFX. Image processing. 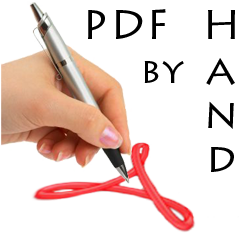 Scan a handwriting image and segment the handwriting into strokes and quantify each stroke.. Example Test: WRD. Record a paragraph (up to 30 minutes) on a tablet and segment into words which can be analyzed in detail..